A 6U by 3U DJ flightcase designed for 19" mixers, live mixers and other media players such as the CDMX1 (170.694) and CDMX2 (170.697) CD player/mixer units. Constructed using 9mm vinyl laminated plywood with heavy duty handles and protective corners. 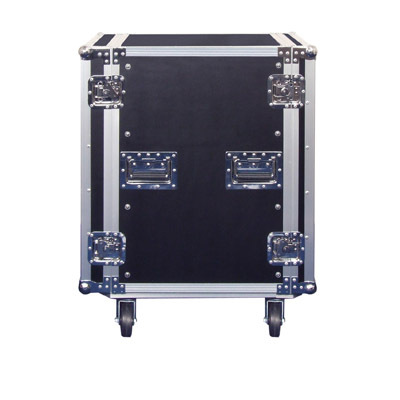 A tough and durable flight case, designed to mount 19" rack equipment such as amplifiers, effects units signal processing units, CD players etc. Super Tuff can be stacked on and will hold allot of weight. Protect your expensive equipment from knocks and bangs with this lightweight ABS case. Suitable for amps, equlizers, feedback destroyers, Microphone receivers, crossovers. This professional flight case features 8 compartments for transportation and charging of the LEDJ Rapid QB1 IP series or similar. This professional flight case features 8 compartments for transportation and charging of the LEDJ Rapid QB1 series or similar. 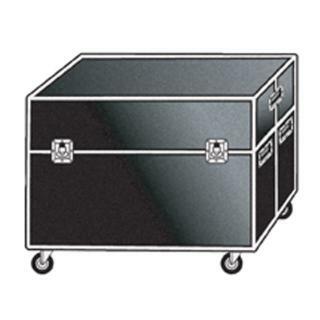 PULSE ACC-CASE-S Foam Lined Heavy Duty Universal Flight Case with lock. Makes an ideal case for protecting your professional microphones, such as a Shure, Sennheister, Audio Technica, etc.